I love Texas. Make no mistake about it. My friendly adopted hometown of San Antonio. The quirky arts community of Marfa. The live music capitol of Austin. The urban cowboy known as Houston. LaGrange. Fredericksburg. Fort Worth. New Braunfels. Countless towns and cities of all shapes, sizes and cultures. But that love affair has never quite extended to that place up north. 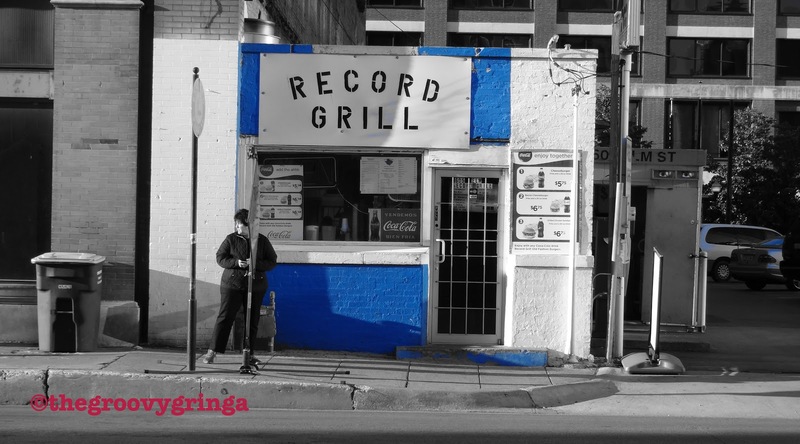 That place that always came across as pushy, snobby and a bit too big for its britches. 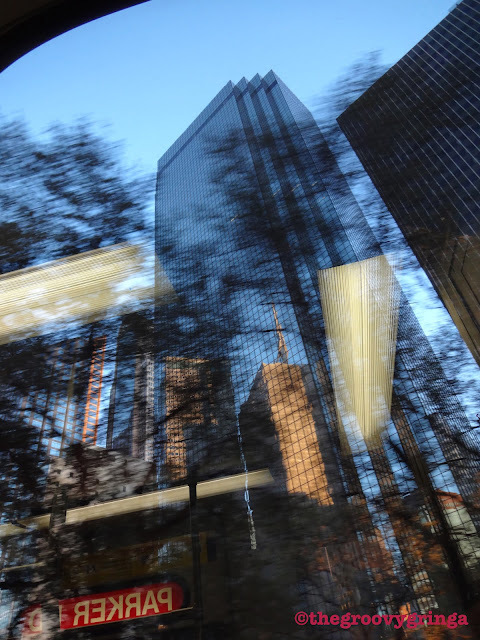 That place known for its cold horizon of reflective glass-covered skyscrapers. That place with the sprawling airport I always find myself rushing through to catch a connection. Yup. THAT place. Dallas. The Big D.
My weekend adventure actually began north of Dallas in Parker, a small town of about 4,000 just to the east of Plano. 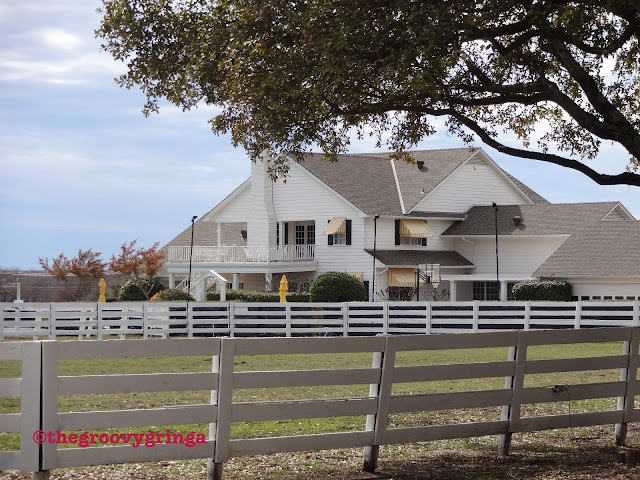 Not much going on in Parker, but it does have something that millions of people around the globe have identified with for nearly 35 years – a little ranch known as Southfork, home of the Ewings. Southfork. I believe I'm sitting in Miss Ellie's spot. admit it -- it's stuck in your head now! I was a huge fan of “Dallas” when it debuted in 1978 and was quickly caught up in the antics of J.R. Ewing, the oilman everyone loved to hate. I first visited Southfork in 1981, back when the ranch was still a private home. You couldn’t tour the place then, but that didn’t stop people from having their photo taken with the iconic home in the background. I remember the roadway on both sides littered with cars and tour buses. The carnival atmosphere is gone now but things are still hopping at the ranch, especially since the second incarnation of the show began on TNT with the new generation of Ewings. Visitors get a guided tour of the house and are then left on their own to wander the grounds. 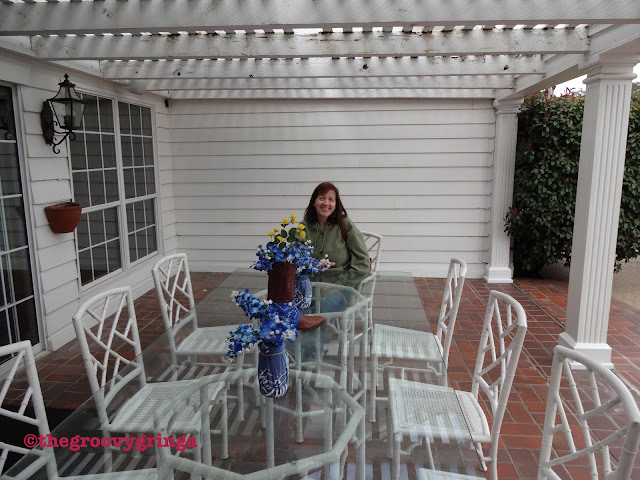 Pretty cool opportunities for taking photos and thinking about all those times I was glued to the TV set, and now here I was, walking in my favorite characters’ footsteps! 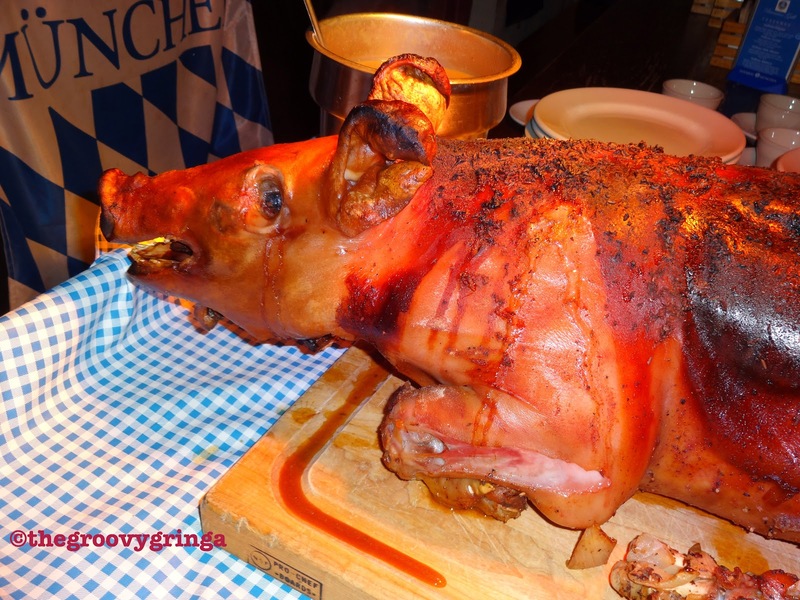 On Friday evening we headed over to The Bavarian Grill in Plano for a highly anticipated German meal, complete with a roasted pig. This meal was actually the impetus for our trip. I belong to a group called the Air Force Public Affairs Alumni Association. There’s a good-sized contingent of members in the Dallas area who get together on a regular basis. They post notices of these gatherings on their Facebook page, and when I saw the location of this meeting I knew I just HAD to go. 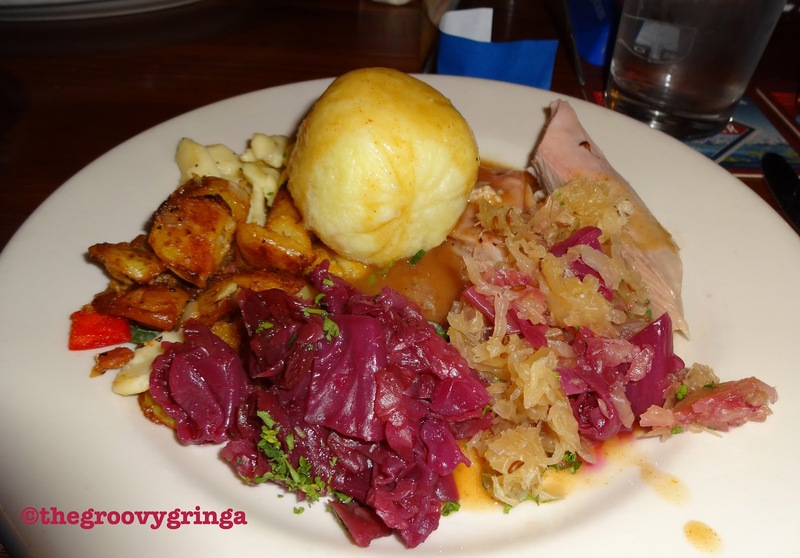 The Bavarian Grill when you're in the area for some authentic German food. I was not disappointed. In the least. It was absolutely delicious and authentic. And the fellowship and camaraderie of our fellow diners was just as exceptional. How lucky I am to have served in the Air Force with such incredible and talented people! Saturday was a total success, mainly due to our transportation mode. I’m a big fan of light rail and wish we had it in San Antonio. We thankfully stayed near the Parker Road station for DART – Dallas Area Rapid Transit – so we took advantage of it. Quick. Clean. Stress-free. You couldn’t ask for more. Check out the DART when you're in the Dallas area. Our first stop after disembarking at the West End Station was the Sixth Floor Museum. 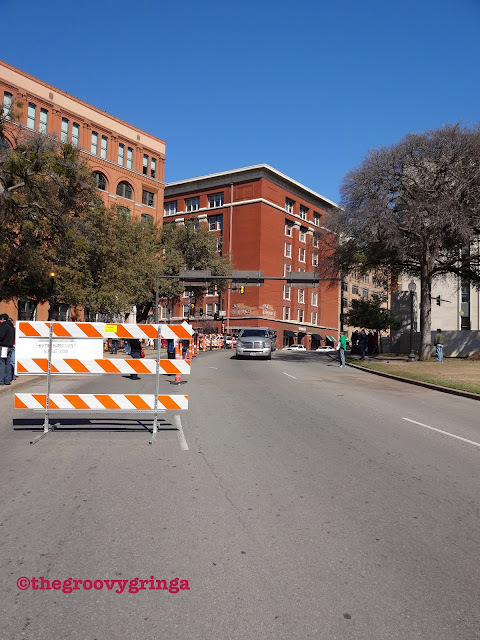 I had also been here in 1981, back when it was still known as the Texas School Book Depository. 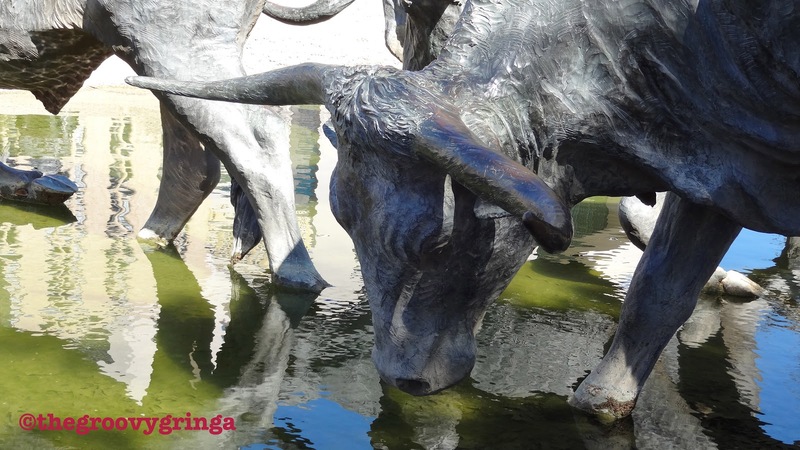 The exhibits are thought-provoking and gut-wrenching at the same time. I was only a 1st grader when President John F. Kennedy was assassinated on Nov. 22, 1963, but that date is burned into my memory, much like 9/11 is for my children. I found the information at the museum to be comprehensive, no matter whether you believe Lee Harvey Oswald acted on his own, was a patsy, or was part of a larger conspiracy. 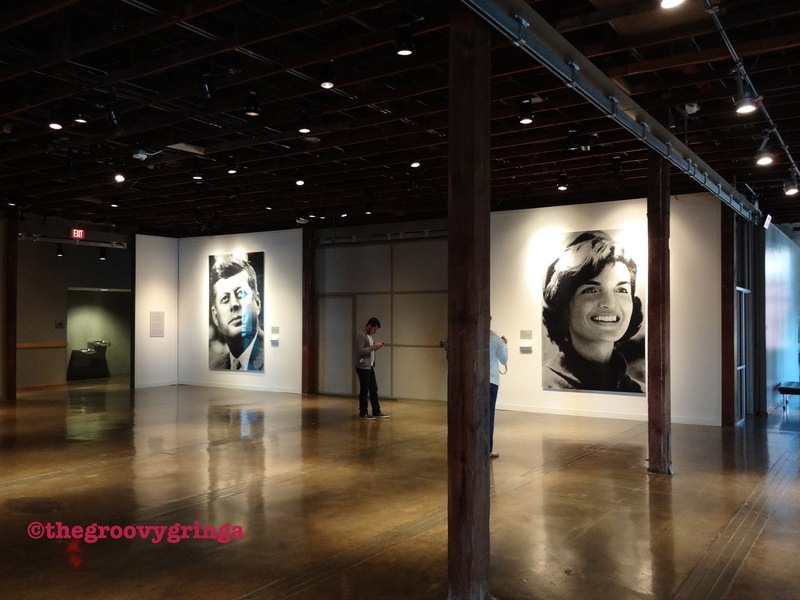 The Sixth Floor Museum, formerly known as the Texas School Book Depository. is made up of Jackie's image, and Jackie's photo is made up of John's image. Amazing to see up close. photo is the infamous grassy knoll. I’ve known for a long time that Oswald was only 24 years old when the whole world discovered who he was, but it never hit me like it did this weekend. Twenty-four. Barely an adult, but had already served in the Marines, defected to the Soviet Union for nearly three years, and was married with a daughter. Filled with hatred for the U.S. government, he became a Marxist at age 15. So much rage. So many unanswered questions. Do you think we’ll ever know the full story? I recommend getting to the museum early, as it gets crowded quickly. Also keep in mind that this year marks the 50th anniversary of the assassination, so attendance will likely grow as the day draws near. Just a place I found interesting. The Y.O. 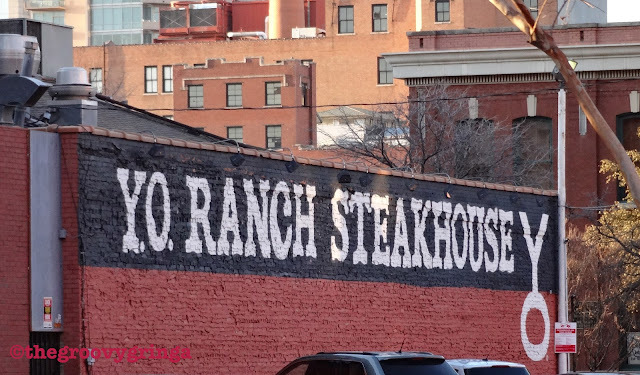 Ranch Steakhouse, known for its buffalo filet mignon. After the Sixth Floor Museum, it was time for a leisurely lunch at the Y.O. Ranch Steakhouse. Great food and great atmosphere. There’s certainly no shortage of this in the Dallas area. Then it was on to the Dallas Holocaust Museum, which featured a small but powerful exhibit. It focuses on three incidents which all happened on April 19, 1943. They force you to think: Are you an upstander or a bystander? 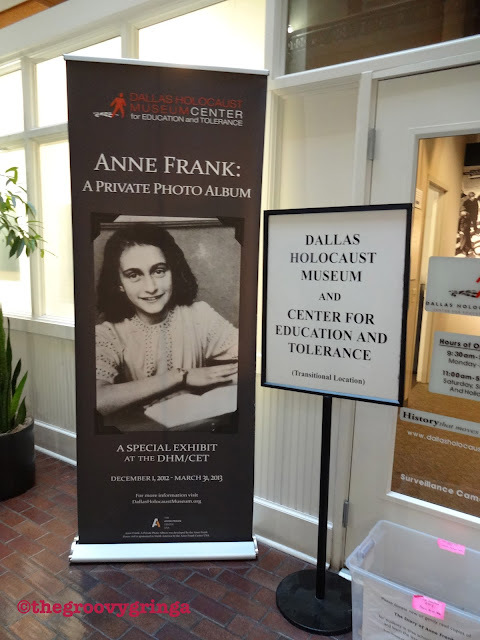 They also had an amazing display of Anne Frank photos. What really struck me at the museum was the utter stillness of the patrons. That in itself was moving. 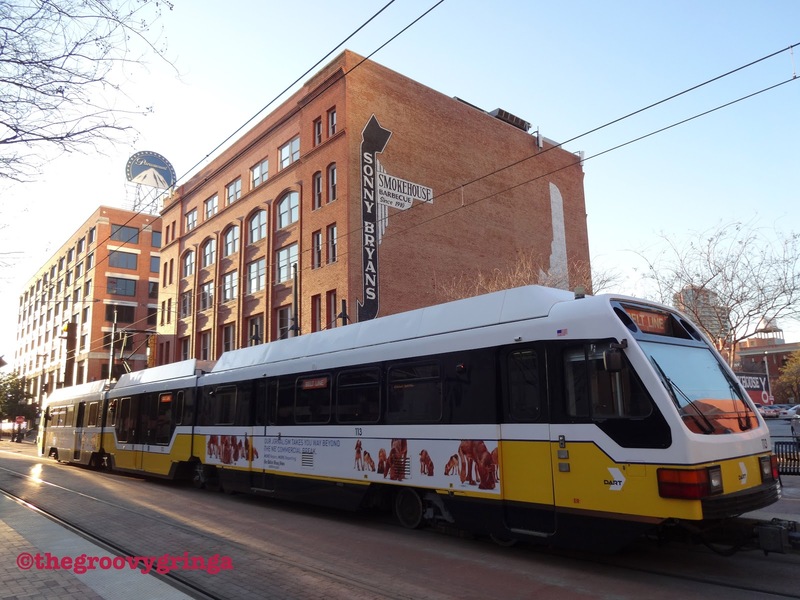 After more walking and exploring, it was time to take the DART back to Plano. 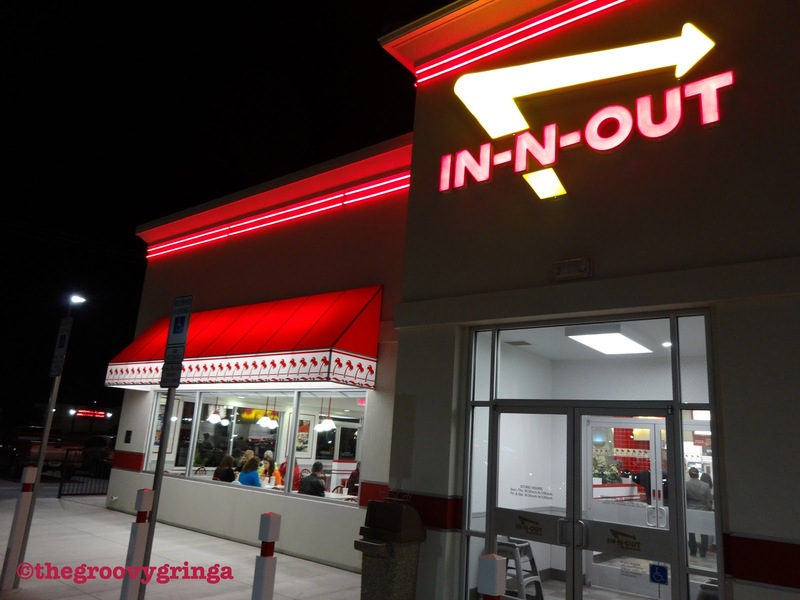 Our meal that evening was fairly simple, but still worth noting – it was my first In-N-Out burger. I’d heard all the hype about it being the best fast food chain burger. I’d had Smashburger and Five Guys and thought they were both good, but I have to admit, In-N-Out’s my new favorite! It’s that Thousand Island-style spread that makes the difference. However, the fries score a big fat Zero … nothing special about them. In-N-Out Burgers ... now I understand what all the hubbub's about. 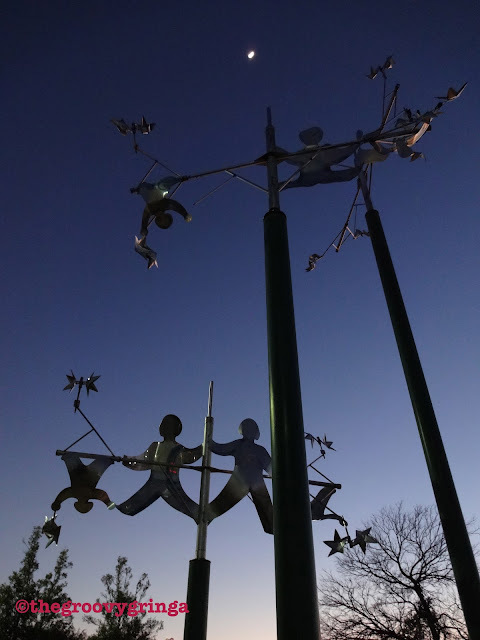 A kinetic sculpture at the Parker Road DART station. lemon juice on top of it. Sunday morning … more food. This time it’s The Original Pancake House, at a location once again conveniently located by our hotel. We met some friends and we all ordered something different, and then to top things off, we ordered a Dutch Baby to share among the four of us. This specialty took 35 minutes to bake so it came at the end of our meal. Can’t say I’ve ever had dessert after breakfast, but I guess there’s a first time for everything. We got on the road but before getting completely out of the city, we stopped for one more touristy excursion – Pioneer Plaza. Considering the breakfast we had just had, it was the best decision we could have made because we ended up walking around in the beautiful sunshine for another hour. 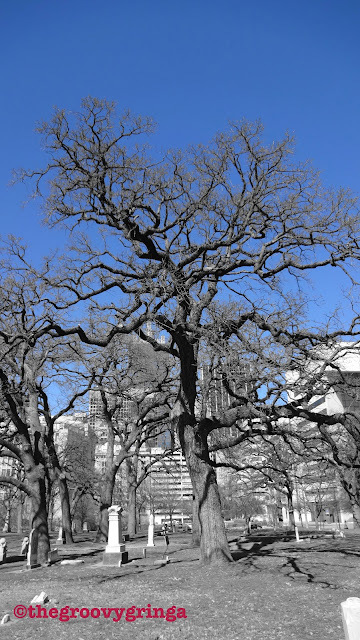 Pioneer Park Cemetery, in the heart of downtown Dallas. 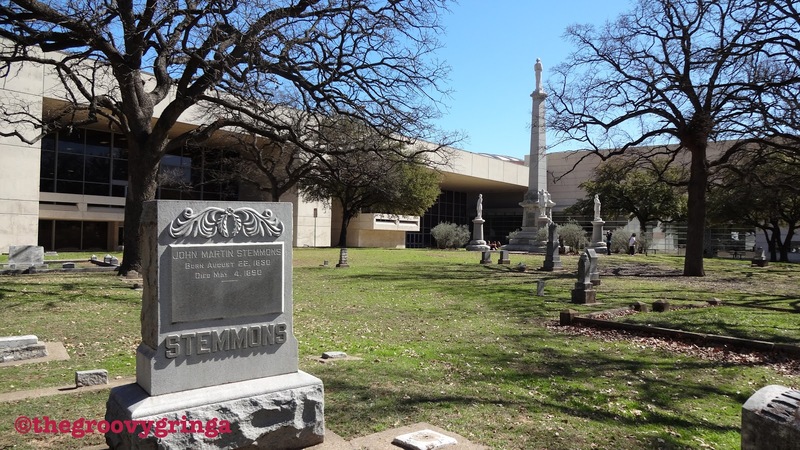 The Pioneer Park Cemetery is in located next to the Dallas Convention Center. 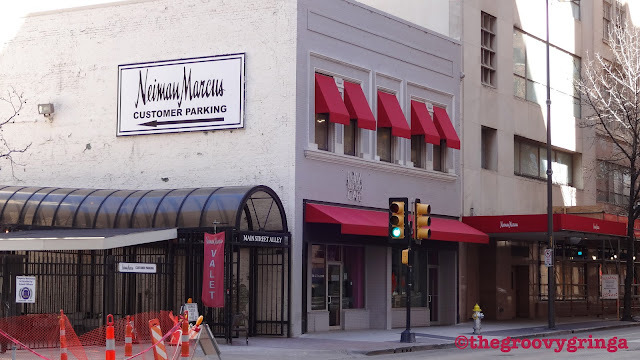 The original Neiman Marcus in downtown Dallas. 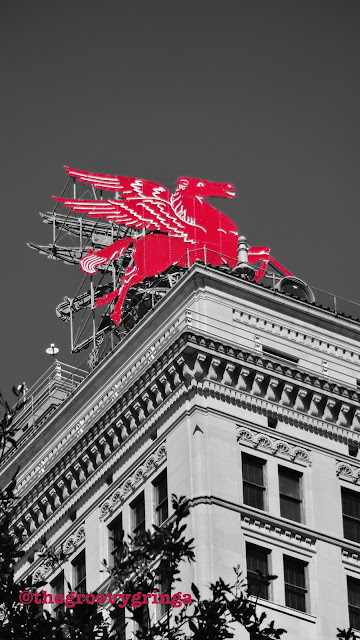 The Mobil Oil symbol on top of the Magnolia Building. And we saw so much! The Police Memorial. 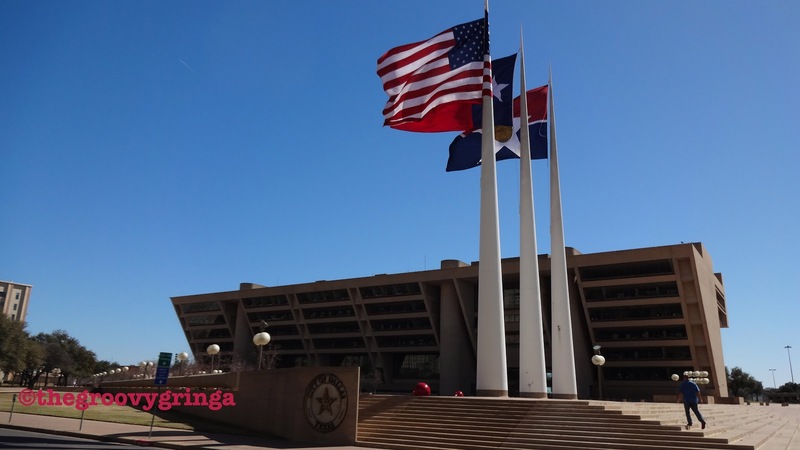 City Hall Plaza with its magnificent flags. The Pioneer Park Cemetery in the shadows of the Convention Center. 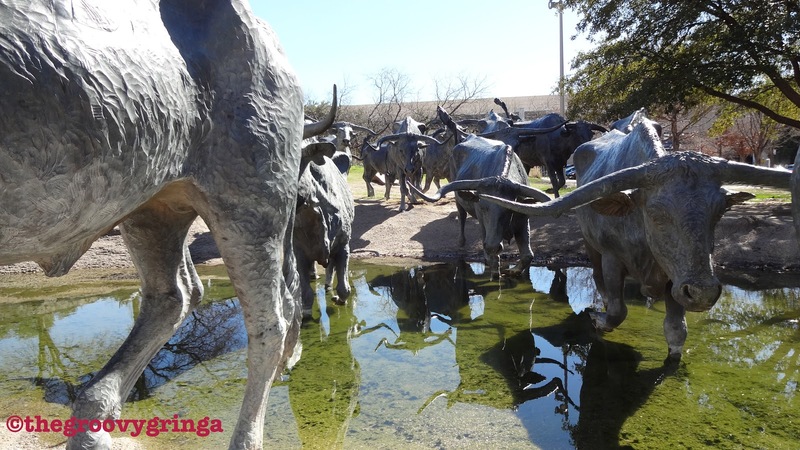 The Cattle Drive – a larger-than-life-sized depiction of 70 head of cattle and three cowboys cast in bronze. The historic Adolphus Hotel and its neighbor the Magnolia Building, atop which sits the distinctive red Pegasus symbol of Mobil Oil. The original Neiman Marcus store. 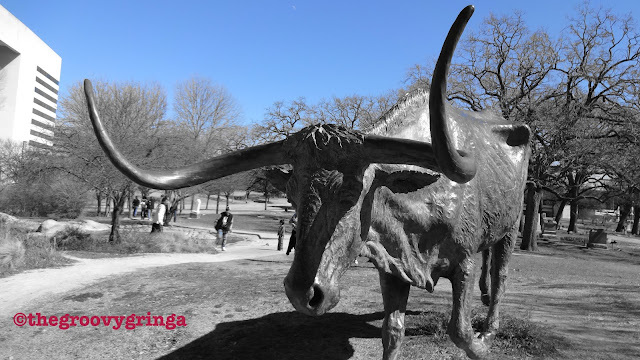 The Cattle Drive in Pioneer Plaza is comprised of 70 head of cattle and three cowboys. The sculptures were created by artist Robert Summers of Glen Rose, Texas. Pioneer Plaza is the second most visited tourist attraction in downtown Dallas. And so in a matter of just over 48 hours, The Big D came down a notch … and not in a bad way. That cold exterior melted, and the chip came off its hefty urban shoulders. In the shadows of those giant skyscrapers I found stories of humanity. Move over, Big D. I found your kinder, gentler cousin. Medium D.
OK, so I've warmed up to Dallas and that's a good thing. But don't expect me to ever like the Cowboys ... or that airport. I do have my limits.